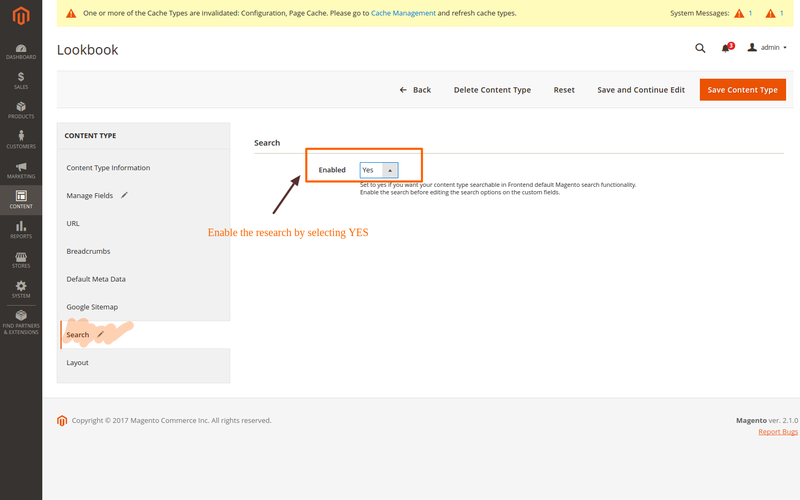 To know if your Advanced Content Manager version supports the search feature, please refer to our releases notes. 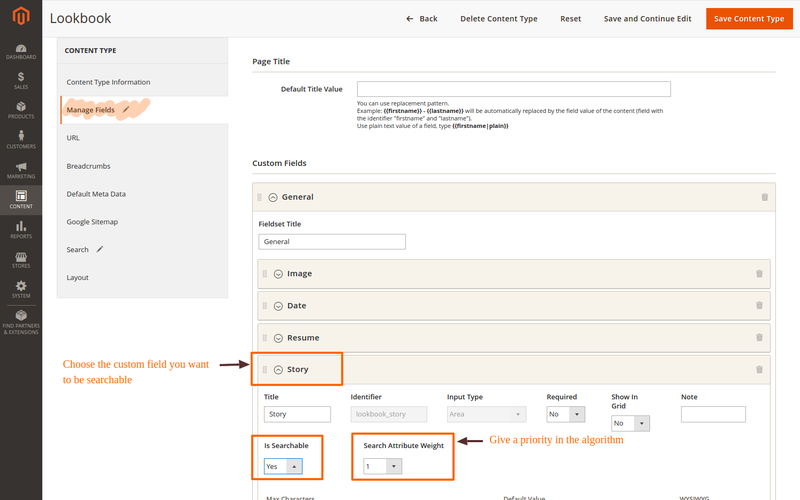 With Advanced Content Manager, you can enable the search option for Content Types. At the moment, only the Content can be searchable but It’s planned to add the ContentLists to the indexers too. Firstly, you need to enable the search option in your Content Type, in the tabs “Search”. Now, some new fields are available in your Custom Fields, “Is Searchable” and “Search Attribute Weight”. The first field allows you to set this attribute searchable or not. The second allows you to define the weight of the attribute in the search algorithm.